Leigh Community Art Group: It's Tomorrow!! Leigh Community Art Group is holding it's second show at Boothstown Community Centre, Standfield Drive, M28 1NB tomorrow Saturday 6 December 2014. It is open from 9.00 a.m. until 3.00 p.m.(approx). Meanwhile here is another new work from J. Reason. 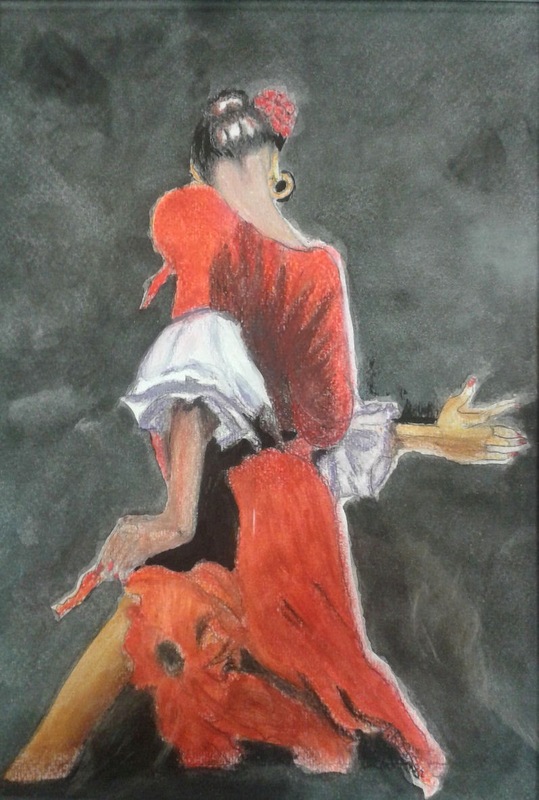 It is called "Flamenco" and is in Watercolour and pastel. It costs £30.00 and is 9.5 inches by 13 inches.